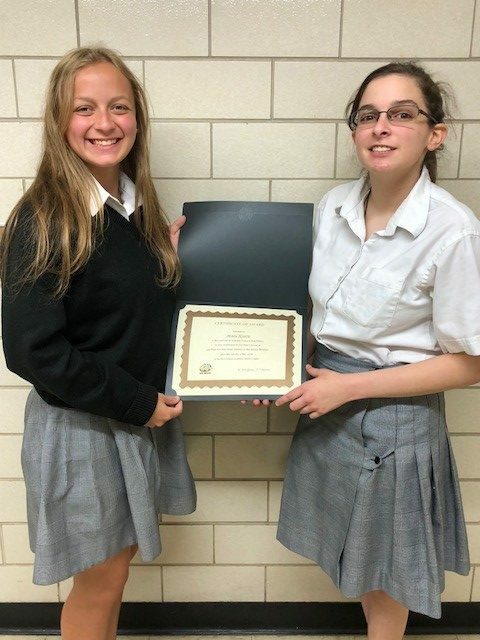 St. Mary’s Dominican High School students Mary Harty, Elizabeth Mobley and Kellie Tucker received awards at the spring New Orleans Academic Games. Mary Harty and Kellie Tucker (Junior Division), and teammate Michael Zuppardo of Brother Martin High School, placed 3rd in the On-Sets team competition. Elizabeth Mobley (Middle School Division), placed 3rd in Presidents and 1st in On-Sets. Elizabeth captured the Sweepstakes Winner award for having the highest total score over all four academic games. 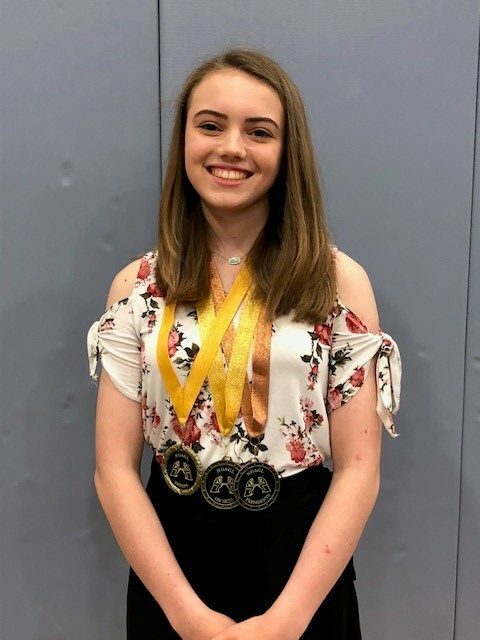 She also participated in the national competition held in Knoxville, TN where she placed 10th in Presidents and had a perfect score in On-Sets. Started in 1966 and incorporated as a non-profit in 2010, the New Orleans Academic Games League inspires students to become critical thinkers through friendly competition in challenging mathematics, language arts and social studies games. Nearly 400 students in Grades 4 through 12 from more than 20 schools in the Greater New Orleans metro area compete in the New Orleans Academic Games League each school year. Competitions are open to all schools.